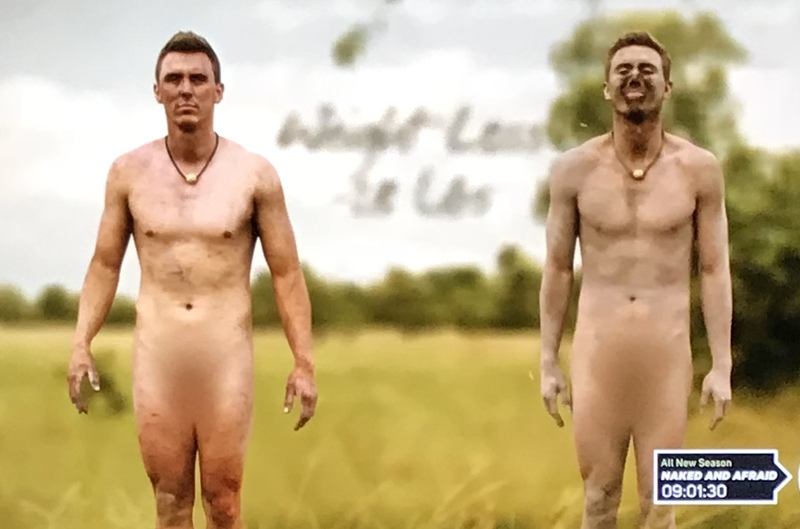 If the Starvation Mode theory is true and holding back people from losing weight, how come it didn’t help Duke from his 21-day experience on Naked and Afraid? I do not know how many times I heard individuals claim starvation mode rather than take greater scrutiny of exactly how much they are eating. The challenge for those that believe this starvation mode myth is accepting reality. They can’t understand despite they are eating less than they were prior to starting their weight loss plan, they must still be eating too much (relative to their total daily expenditure). The fact is if you eat less than you burn you will lose scale weight. Now the type of weight (fat or lean tissue) lost can and will be another issue; however, you will lose weight on the scale. This is the reason behind using this TV show “Naked and Afraid” to reinforce the point that if the scale isn’t dropping it is not a self-protection starvation mode signaling you need to eat more. Starvation mode defined is a state in which the body responds to prolonged periods of low energy (calories) intake. During short periods of energy abstinence, the human body burns primarily free fatty acids from body fat stores, along with muscle tissue to provide required glucose for the brain. The key point to understand with this definition is that the body will still “Burn” resources such as fat stores and muscle tissue to stay alive thus why the scale weight will drop. Take another individual from the show, I believe his name is Zach. In 21 days while on the show he lost 28 lbs. on the scale. Unfortunately, the show doesn’t also calculate estimated body fat along with the scale weight as part of their before and after comparisons. To create such a dramatic weight loss unfortunately Zach had to also lose precious lean tissue as part of the 28 total pounds. Lean Tissue or simply stated as skeletal muscle is our metabolism. Therefore, it is true that starvation mode will lower your metabolism by catabolizing your lean tissue when the caloric deficit is extreme; however just because your metabolism is lowered doesn’t mean you will stop losing weight if you truly have a caloric deficit (eat less than you burn). The take home from all of this is if you are looking to lose scale weight and you are monitor yourself on the scale on a regular basis and if the scale isn’t dropping you are then eating too much relative to what your body is expending to stay alive with your activities of daily living. DO NOT BLAME STARVATION MODE WHEN SCALE DOES NOT DROP – RATHER TAKE A CLOSER LOOK AT THE TOTAL VOLUME OF FOOD (CALORIES). Now if you are monitoring your scale weight and the scale is dropping, you could possibly create a pseudo starvation mode situation of reducing your metabolism. The first step to evaluating this possibility is to also monitor your % body fat along with your scale weight to ensure the weight being lost on the scale is from useless body fat and not precious, anti-aging lean (muscle) tissue. A typical safe range to target is to not lose more than 25% of your scale weight loss from lean tissue. When greater than 25% of lean tissue loss may occur in pursuit of your weight loss and body transformation goal, you will want to tweak both your nutrition (calories and macros) and well as type of exercise to create a better environment to secure your lean (muscle) tissue. Understanding the synergy of consistent monitoring of body composition and how to personalize nutrition and exercise is where having a qualified fitness professional to monitor and guide you to success is important. And for those who still do not believe starvation mode isn’t a myth when it comes to not losing weight. Volunteer to be on the next Naked and Afraid and see if you come back at the same weight as you started the 21-day experience.